Who are these faceless, unelected bureaucrats who now, it seems, have the power to decide how much teachers should be paid; the power to demand that nurses should be sacked, to drive down rates of social welfare payment, and the power to gift state-owned companies to private investors? While many in Ireland may be unfamiliar with the IMF and, indeed, given the wreckage caused in large part by the crony capitalism pursed by Fianna Fail, many have mistakenly welcomed them. Ordinary people throughout parts of Asia, Africa and Latin America, however, are all too familiar with the free market fundamentalism of the IMF and their destructive consequences. The International Monetary Fund was established at the Bretton Woods Conference in 1944 as World War II came to an end. Originally, the IMF was envisaged as a ‘lender of last resort’ whereby national governments experiencing balance of payment difficulties could draw down short-term loans. As the west enjoyed a boom period in the decades after World War II, the so-called ‘golden age’ of capitalism, the IMF was a bit player on the international arena. That all changed as recession hit in the early 1970s and neo-liberalism emerged as the dominant philosophy to shore up the power of the ruling class. By the early 1980s, as several Latin American countries were experiencing severe debt crises, the IMF had firmly stepped out of the shadows to enforce the neo-liberal ideology of liberalisation, deregulation and privatisation upon some of the poorest nations in the world. The so-called Washington Consensus was exported around the world with devastating consequences for some of the poorest people in Latin America. Cutting government spending, privatising public assets, the lifting of all capital controls and the liberalising of trade was the antidote prescribed to one Latin American country after another as their growing debts forced them to seek loans from the IMF. 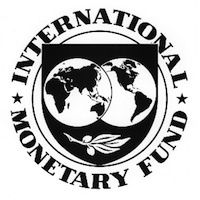 These deflationary policies caused even deeper recession and, while the working people of countries such as Mexico, Argentina, Bolivia and Venezuela were further impoverished by savage government spending cuts, international investment banks were paid off as the IMF forced governments to prioritise the servicing of debt. The result, unsurprisingly, was even greater levels of poverty and inequality. Such was the reputation of the organisation in Latin America that Martin Lousteau, the former Argentinean economy minister, recalled how parents used to threaten their children with the IMF if they were acting up. One can understand why the children of 1980s Latin America were terrified of the IMF. Urban poverty rose by an astonishing 50 per cent in the first half of the decade, average incomes of the working population fell by 40 per cent in Venezuela and 30 per cent in Argentina, while, in Mexico, by 1987 social expenditure had fallen by half compared to the beginning of the decade. While the majority of the population suffered extreme poverty in the burgeoning slums, the rich swam in oceans of wealth as they stripped the public sector bare and made their fortunes; in Buenos Aires, for example, the share of income of the richest category was 23 times that of the poorest category in 1989, an incredible growth in inequality in just four years. In 1984, the share of income of the richest category was 10 times that of the poorest category. Based on this level of devastation, we in Ireland have good reason to vigorously oppose the IMF takeover of the Twenty-Six Counties. Just two short years ago, Twenty-Six County finance minister Brian Lenihan claimed that the E440 billion [£370 billion] bank guarantee represented the “cheapest bailout” in the world. In the months that followed, Lenihan would emerge from the fog of promising everyone that we had turned yet another corner and add a couple billion more to the bill. Last September, assurances were offered that the final tab for the gambling debts of the bankers and developers would be an astonishing E50 billion [£42 billion], but this, we were told, would finally sort out the mess. Alas, the money finally ran out and the IMF and the European Central Bank have now descended, sovereignty has been surrendered and another E35 billion [£30 billion] has been added to the bailout bill. The Memorandum of Understanding between the neo-liberal loan sharks of the IMF and a subservient Dublin government potentially seals the fate of this and future generations to debt penury. The neo-liberal orthodoxy, which failed so spectacularly in Latin America, in south-east Asia and in Africa, has been dusted off and presented with another failed economy to experiment upon. The agreement is redolent of all of the Structural Adjustment Programmes that the IMF imposed on struggling economies around the globe - slashing government spending, privatising public assets, opening up the economy to speculative investment and prioritising debt servicing. Following the signing of the memorandum of understanding the rich in Ireland can sleep easy in the knowledge that their debts are being paid off by the ‘little’ people. The low paid for example will suffer a E1 cut in the minimum wage so that Sean Fitzpatrick can continue to live it up in Greystones and take regular golfing trips to sunny Spain. Wage rates under the Registered Employment Agreements and Employment Regulation Orders are to be slashed and employers offered additional get out clauses through an enhancement of the inability to pay clause. In addition, low paid workers earning just E15,000 [£12,700] per annum are to be brought into the tax net. Not satisfied with slashing wages, there is now an understanding between the government and the IMF that workers must reach 68 years of age before being entitled to claim the state pension. Meanwhile, public sector workers have been threatened with the pay cuts and ultimately the sack if the shoddy Croke Park deal is not fully adhered to. Pay rates for new entrants to the public service will be slashed by 10 per cent and pension entitlements will be significantly reduced. The government also plans to expand the amount of money it takes from regressive forms of taxation through the imposition of new property tax on principal residence; introduction of water charges and increases in carbon tax and VAT. Like all other indirect forms of taxation they adversely impact on the less well off, it seems the government is intent to tax the poor as they appear to believe the rich cannot or should not pay. The IMF is following a long established pattern of driving down wages for those in work, which will be complemented by taking the axe to social welfare spending with a total of E750 million [£635 million] to be slashed from the social welfare budget this year and further cuts amounting to over E2 billion [£1.7 billion] to follow over the following three years. Not content to drive the unemployed deeper into poverty, they are to be targeted for US-style workfare programmes. The unemployed will be kept under constant surveillance, will have to submit regular reports as to their efforts to find work and will be forced to take up low paid jobs or face further cuts to their rate of payment. In addition rent supplement will be cut, a decision which will undoubtedly increase the risk of homelessness. eirigi has elsewhere analysed the plans to sell off public assets, however an important but overlooked aspect of the ‘understanding’ between the IMF and the Dublin government is the announcement of a review of the cap on the size of retail units. Currently, retail units in the Twenty Six counties are capped at 3,500 sq metres, which was lifted temporarily to facilitate the opening of a giant IKEA furniture store in Ballymun of 30,000 sq metres. Of course this review we are told is all about ‘enhancing competition’ and ‘lowering prices for consumers’. A more likely scenario is that US multinationals such as Walmart will be facilitated to enter the Irish market, enhancing the availability of cheap retail goods and thus keeping overall wages low. If workers can purchase cheap retail goods at stores such as Walmart overall wage rates can be kept low while increasing the rate of profit. Anti-union corporations like Walmart will seek to drive down wages in the retail sector on the basis of supplying the market with cheap retail goods imported from China. In this they will be supported by capitalist cheerleaders who will argue that the cost of living is being reduced and therefore wages should remain low. Of course they will neglect to point out that the gap between wages and profits will grow substantially. Given the consensus for corporate welfare that exists between the IMF, Fianna Fail, Fine Gael, Labour and Sinn Fein, this will go unchallenged and the gap between rich and poor will grow yet further. All parties in Leinster House are at one with the IMF in protecting the incredibly low corporate tax rate of just 12.5 per cent. None of this should be particularly surprising, after all increasing inequality has been the singular achievement of the IMF while the political establishment in Ireland have always placed the interests of capital before the people. It is unlikely that the weekly and monthly reports that the Dublin government is now being forced to supply to the IMF will track the inevitable growth in levels of poverty and inequality. As capital seeks new ways to accumulate wealth and reassert its power following the collapse in the property market, it seems that the political class in Ireland is either unwilling or incapable of defending the interests of the people. While there was a huge turnout of 100,000 at the ICTU rally on 27 November and there is palpable anger amongst working people at being forced to pay the debts of domestic and international capital, the leadership of the unions has failed to follow up this single initiative. There have neither been plans for a general strike nor even a plan for a sustained campaign of industrial action. International capital is attempting to reassert its power on the backs of Irish workers, driving all of us into penury in order to accumulate wealth and power and in the absence of both political and trade union leadership, it is time for working people in Ireland to assert their power. Real fundamental change will only come about through determined mass action. Recent weeks have witnessed increased radicalism from the student movement while a number of trade unions and left parties have called for both a general strike and a sustained campaign of civil disobedience. It is vital these initiatives are built upon. An important starting point would be for tens of thousands to come out on to the streets to defeat the December 7 blood budget. In the mid-1990s, the French government attempted to impose a neoliberal privatisation programme. During a sustained campaign of street opposition that ultimately defeated the plan a banner appeared on the barricades of a Paris street: ‘Take to the streets, before they throw us into them’. It is a message we in Ireland would be advised to heed.